Jacob Julian of Kamehameha Schools Maui won his second Maui Interscholastic League boys air riflery title Saturday at the Maui High gym in Kahului, and King Kekau­li­ke’s Leonani Vista completed her season-long ascension to win the girls championship by a one-point margin. Julian had a score of 523 points, helping the Warriors to a third consecutive team title. Maui High took the team championship in girls competition. Julian, who also won the individual title in 2015, had the top kneeling score, a 181, to go with a 187 prone and 155 standing. The Warriors’ Kody Cambra, who won the individual title last year, was second with a 518, and Quinton Uradomo of team runner-up King Ke­kaulike was third, another six points behind. Cambra and Uradomo each had a 158 standing. Kamehameha finished with 1,973 points. Na Alii had 1,956. Maui High’s Jordan Shim had the best prone score, a 192, and finished seventh overall at 482. Shim had 16 total bull’s-eyes, the day’s top total — 11 of those where prone. Kamehameha finished the eight-event league season with six first-place team finishes. 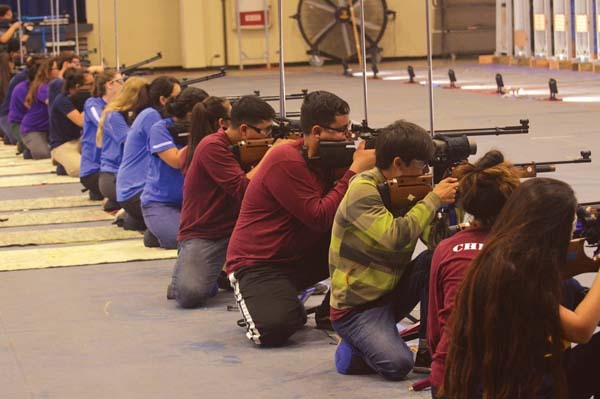 Vista had a 510 that included the day’s best standing score, a 162, along with a 187 prone, with nine bull’s-eyes, and a 161 kneeling. Her 13 bull’s-eyes overall led girls competitors. Vista finished 13th or below in three of the first four events of the year, but placed sixth in a postal meet that finished on Sept. 23, then took fourth at the Sept. 30 competition. Baldwin’s Emi Sakumoto, last year’s MIL champion, finished second, and teammate Kaysha Villaverde (502) was third as the Bears placed second in the team standings. Maui High, which had won team titles three other times this year, finished with a score of 1,981, led by Venus Versola’s fourth-place score of 500. Baldwin’s total was 1,942. Maui High’s Shmily Versola had the best prone (190) and kneeling (174) scores and tied for sixth at 496. Julian, Cambra, Gabriel Arcas and Joshua Grant will represent the Kamehameha boys team at the state champion­ships, scheduled for Oct. 24 on Oahu. 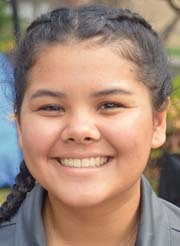 Uradomo and Shim qualified individually, along with King Kekaulike’s Gabriel DiBiase-Demareta and Shayne Thompson, Maui High’s Dil­len Duque and Baldwin’s Alan Brown Jr.
Maui High’s girls representatives will be Venus and Shmily Versola, Alexis Viloria and Kaitlyn Otani-Hernandez. 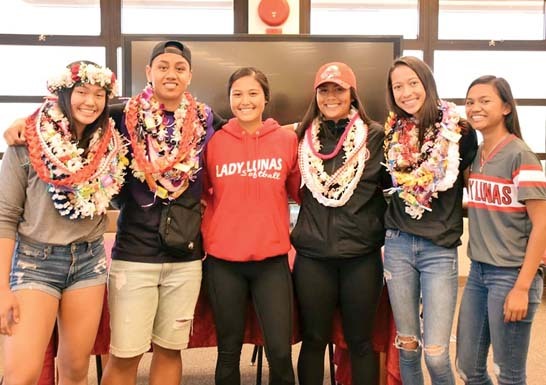 They will be joined by Vista, Sakumoto and Villaverde, along with King Kekaulike’s Keau­li’io­ka­­lani Nagata, St. Anthony’s Fiona McGrath and Ka­mehameha’s Kuualoha Bailey. Team scores–1. Maui High 750-572-674–1,981, 2. Baldwin 710-586-662–1,942, 3. King Kekaulike 720-558-633–1,910, 4. Kamehameha Maui 725-562-615–1,858, 5. Seabury Hall 691-497-588–1,704, 6. Molokai 683-423-591–1,697, 7. St. Anthony 526-424-429–1,379. Individual scores–1. Leonani Vista, King Kekaulike, 187-162-161–510; 2. Emi Sakumoto, Baldwin, 180-157-172–509; 3. Kaysha Villaverde, Baldwin, 176-159-167–502; 4. Venus Versola, Maui High, 185-147-168–500; 5. Keauli’iokalani Nagata, King Kekaulike, 184-146-167–497; 6t. Kaitlyn Otani-Hernandez, Maui High, 188-144-164–496; 6t. Shmily Versola, Maui High, 190-132-174–496; 8. Fiona McGrath, St. Anthony, 178-154-163–495; 9. Alexis Viloria, Maui High, 179-142-168–489; 10. Kuualoha Bailey, Kamehameha Maui, 184-147-154–485; 11. Jordyn Pagaduan, Maui High, 182-139-151–472; 12. Katebel Jose, King Kekaulike, 182-136-152–470; 13t. Chloe Ugalino, Baldwin, 173-142-152–467; 13t. Taylor McCary, Maui High, 182-130-155–467; 15. Keala Cabanilla, Kamehameha Maui, 180-141-145–466; 16. Mikeala Kealoha, Baldwin, 179-115-170–464; 17t. Jasmine Nakamoto, St. Anthony, 168-142-147–457; 17t. Angel Gragas, Maui High, 172-125-160–457; 19. Anne-Marie Greig, Kamehameha Maui, 179-131-146–456; 20. Kiare Cabanting, Kamehameha Maui, 165-123-163–451; 21t. Bailey Dalzell, Seabury Hall, 164-148-137–449; 21t. Kamila Hera, Maui High, 187-125-137–449; 23. Kela Kauha’aha’a, Kamehameha Maui, 182-114-149–445; 24. Kaili Helekahi-Fuata, Kamehameha Maui, 171-131-141–443; 25. Malia Kaiahua-Sato, Baldwin, 172-128-139–439; 26. Mia Kihara, Baldwin, 168-117-153–438; 27. Cierra Benson, Kamehameha Maui, 174-122-140–436; 28t. Kaitlyn Brown, Baldwin, 174-114-146–434; 28t. Campbell Kaalekahi, Molokai, 175-106-153–434; 30. Kaylie-Ming Kozawa, King Kekaulike, 167-113-153–433; 31. Mandy Honda, Kamehameha Maui, 152-143-137–432; 32. Taylie Kawakami, Seabury Hall, 178-101-152–431; 33t. Maria Angst, Molokai, 160-119-149–428; 33t. Destynee Albiar, Kamehameha Maui, 165-116-147–428; 35. Brianna Leval, St. Anthony, 180-128-119–427; 36t. Melody Kaili-Kalua, Molokai, 171-116-139–426; 36t. Lauren Kalama, Kamehameha Maui, 174-107-145–426; 38. Meaaloha McCabe, Kamehameha Maui, 169-107-149–425; 39. Aliyah Guico, Baldwin, 175-101-145–421; 40. Egesu Berkmen, Seabury Hall, 169-122-123–414; 41. Angela Schmitt, Seabury Hall, 168-98-144–410; 42. Daisha Kahoalii-Kalilikane, Molokai, 177-82-150–409; 43. Kathryn James, Seabury Hall, 161-109-138–408; 44. Brayden Matsuura, King Kekaulike, 162-114-131–407; 45. Kiana Holokai , Kamehameha Maui, 155-100-149–404; 46. Elena Hickey, Seabury Hall, 150-118-135–403; 47. Tatiana Soon, Kamehameha Maui, 164-92-144–400; 48. Aidyn Wright, Seabury Hall, 132-108-154–394; 49. Shirley Julian, Maui High, 170-104-115–389; 50. Dyani Pierner, Seabury Hall, 176-92-119–387; 51. Shea Sera, King Kekaulike, 165-73-146–384; 52. Alana Battad, Seabury Hall, 149-96-117–362; 53. Eva Ponting, Seabury Hall, 151-76-116–343; 54. Siena Poepoe, Kamehameha Maui, 145-84-103–332; 55. Karrisa Pond, Kamehameha Maui, 137-78-95–310. Team scores–1. Kamehameha Maui 724-596-665-1,973, 2. King Kekaulike 716-587-668–1,956, 3. Maui High 736-556-644–1,888, 4. Baldwin 700-541-640–1,850, 5. Seabury Hall 641-435-562–1,629, 6. St. Anthony 630-357-473–1,460, 7. Molokai 159-110-122–391. Individual scores–1. Jacob Julian, Kamehameha Maui, 187-155-181–523; 2. Kody Cambra, Kamehameha Maui, 191-158-169–518; 3. Quinton Uradomo, King Kekaulike, 179-158-175–512; 4. Gabriel DiBiase-Demareta, King Kekaulike, 180-157-168–505; 5. Dillen Duque, Maui High, 186-144-164–494; 6. Alan Brown Jr., Baldwin, 183-150-158–491; 7. Jordan Shim, Maui High, 192-129-161–482; 8. Shayne Thompson, King Kekaulike, 182-129-162–473; 9. Gabriel Arcas, Kamehameha Maui, 166-153-149–468; 10. 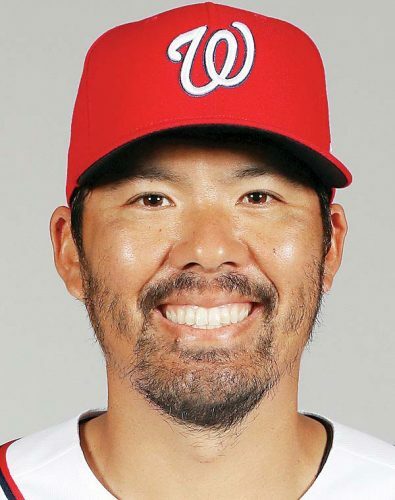 Xaden Nishimitsu, King Kekaulike, 174-129-163–466; 11. Joshua Grant, Kamehameha Maui, 172-130-162–464; 12. Justin Kawamura, King Kekaulike, 175-141-147–463; 13. Solomon Palad, Baldwin, 173-132-155–460; 14. Gerard Lapid, Maui High, 182-117-158–457; 15. Ronel Yadao, Maui High, 176-133-146–455; 16. Chandler Tumaneng, Baldwin, 170-123-158–451; 17. Rylan Matsuura, Maui High, 171-121-158–450; 18. Shae Murray, Baldwin, 173-120-155–448; 19. Jacob Keyser, Seabury Hall, 152-153-138–443; 20. Austin Suzuki, Baldwin, 171-112-158–441; 21. Zachary Leialoha, Baldwin, 165-124-151–440; 22. 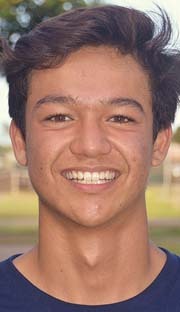 Dane Payba, Maui High, 173-144-121–438; 23. Cobby Carino, Baldwin, 170-113-154–437; 24. Ryder Castro, Baldwin, 168-98-166–432; 25. Keawe Mann, Kamehameha Maui, 159-115-153–427; 26. Reece Ugalino, Baldwin, 151-135-140–426; 27. Justin Bio, Maui High, 123-135-161–419; 28. Riley Williams, King Kekaulike, 161-131-126–418; 29. Trever Fernandez, Maui High, 172-118-123–413; 30. 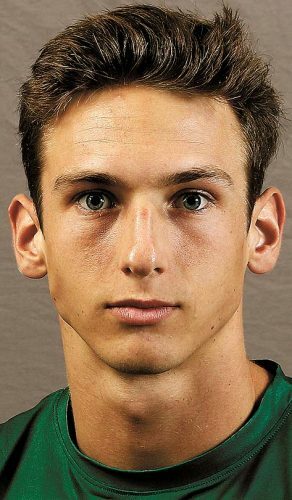 Nick Heerema, Seabury Hall, 150-104-150–404; 31. Bryce Tarpey, Seabury Hall, 157-104-134–395; 32. Charles Kamai-Cacpal, Molokai, 159-110-122–391; 33t. Dallen Silva, Baldwin, 151-114-124–389; 33t. Wesley Perreira, Kamehameha Maui, 174-95-120–389; 35. Gabriel Medallada, Seabury Hall, 173-74-140–387; 36. Jacob Manuel, Maui High, 174-78-134–386; 37. Jake Takaesu, Baldwin, 158-93-125–376; 38. Max McGrath, St. Anthony, 155-101-119–375; 39. Dylan Yamane, Baldwin, 139-104-129–372; 40. Sean Cerizo, St. Anthony, 156-87-128–371; 41. Corey Kiyobu, St. Anthony, 165-74-129–368; 42. Jordan Corn, Kamehameha Maui, 122-118-124–364; 43. Joey Fernandez, St. Anthony, 154-95-97–346; 44. Chyler Bolosan, Maui High, 131-79-125–335; 45. Matthew Kaimiola, Kamehameha Maui, 125-88-108–321; 46. Sean Janneck, Seabury Hall, 159-59-91–309; 47. Jayden Bartolome, Kamehameha Maui, 133-57-80–270.